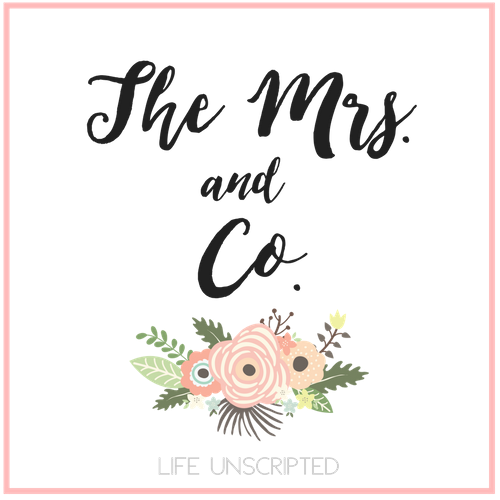 Birth Story Part 1 - The Mrs. & Co.
Our journey to becoming parents has been a long one. Well our sweet Raegan's birth story is just the same, a LONG one! Raegan was due on July 21, but there was no sign of her coming. At my appointment on July 22, I wasn't dilated at all. My doctor tried to strip my membranes, but she couldn't even get inside my cervix. So we began planning what to do. The hospital we were delivering at makes you schedule your inductions. So my OB's office called and got us on the waiting list for Friday, July 25, and Monday July 28. We were #1 on the list for Friday and #3 for Monday. We got the call on Tuesday that they had room for us on Friday and we would come in on Thursday night at 10pm to get things started. 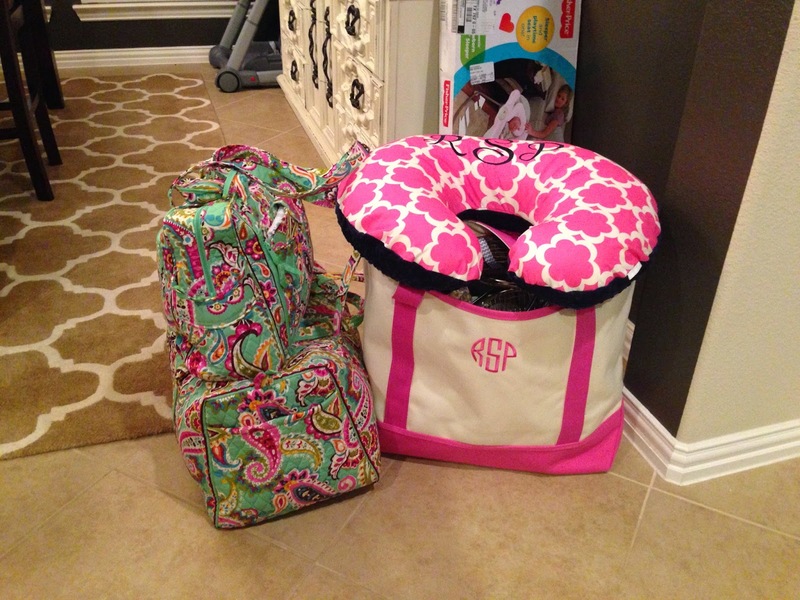 So bags were packed and we were ready! I really wanted to allow Raegan to come on her own, but girlfriend had other plans. Later on, once she was here, my doctor told me, that she would have never come on her own, but more on that later. We showed up at the hospital Thursday night at 10pm and got settled in. Here I am, ready to go, gown and all! Golley, I already miss that bump! Weird, I know! They started me on cytotec and told me to go to sleep. Yeah right, I'm having a baby tomorrow, no way can I sleep! I did try though. At 7am on Friday, July 25, they started my pitocin. Whoa baby! Instant contractions! There was no slowly building intensity. These babies were coming about 1 1/2 minutes a part at high intensity. At 9am, my doctor showed up and broke my water. The contractions kept on coming and boy were they strong! 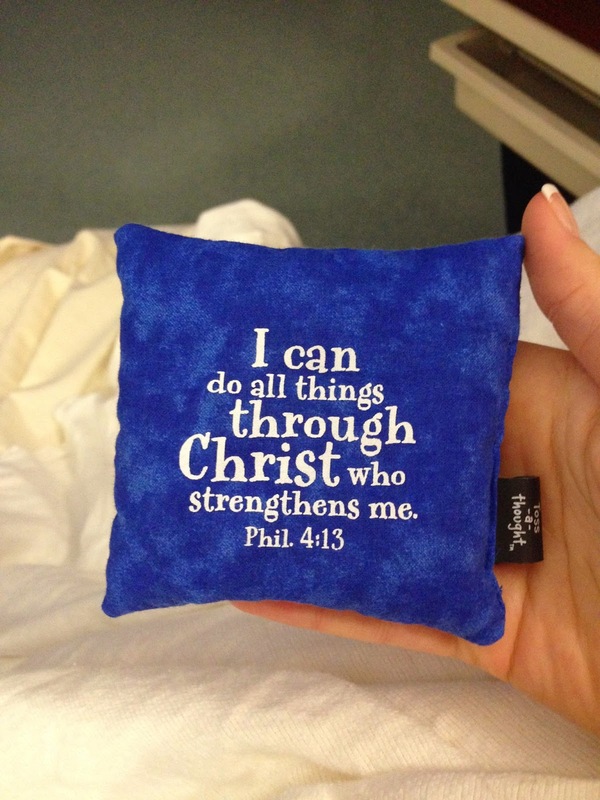 I needed something to squeeze during the contractions so my mom went to the gift shop looking for a stress ball but this was all my mom could find, and honestly, it was perfect! I moved to my birthing ball around 1pm and labored there for awhile. It really helped moving to a new position and Kyle was a trooper, always there with a tennis ball to rub over my lower back during a contraction. Finally at 3pm I got the epidural. 8 hours of labor on pitocin without pain medicine was ENOUGH for me! 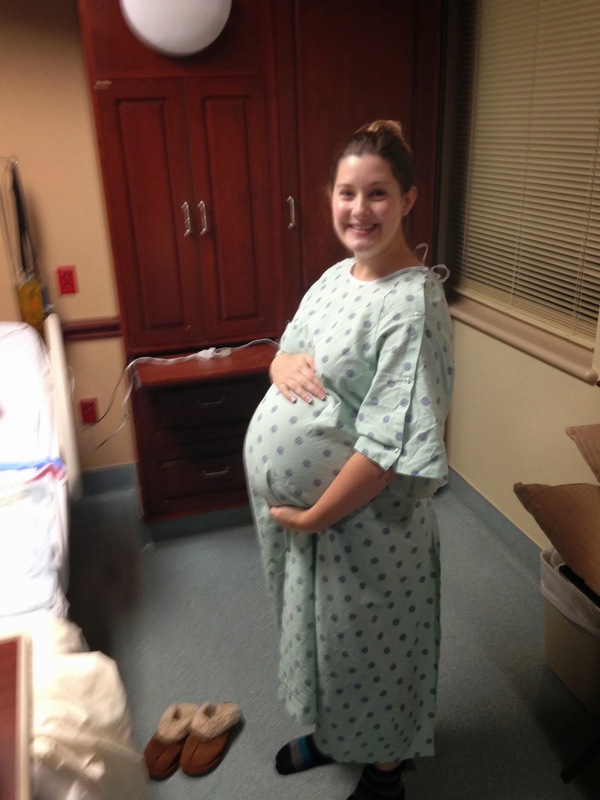 Many people told me getting the epidural hurts, but not for me. I was having contractions up until the point of getting it, and I said a prayer right before praying I wouldn't have a contraction while he was giving me the epidural. And God answered my prayer! No contractions at all during the procedure. It didn't hurt and within about 5 minutes I was feeling good again. I could still move my legs, but they were tingling like when your legs fall asleep. By now I was at about 3 cm. I was exhausted and still had a long way to go. We began waiting and every time they checked me, I hadn't really progressed. Fast forward to midnight and I was a little over 5 cm. We had to start talking about a possible c-section. I was starting to get a fever and Raegan was obviously not progressing for a reason. We decided to give it another hour and a half and if I hadn't progressed a few centimeters, it was time to call it. 1:30am came around and I was barely 6cm. We decided it was time to get our little girl out. Nothing had gone according to plan, but I didn't care anymore. I wanted my little one safe and in my arms. So they called my doctor and we got things rolling. They turned up my epidural and wheeled me off to the OR. Raegan was born on Saturday, July 26, at 2:35am weighing 8 pounds 2.3 ounces and measuring 21 1/2 inches long. She had blonde hair (which has now gotten alittle darker) and blue eyes! Once it was all said and done, the whole c-section lasted about an hour and we were in recovery by 3:45am and finally in our room by 6am where we got to start the story of our family! If you follow me on instagram, you know that this is only the first part of Raegan's birth story. Stay tuned for part 2 tomorrow. Such a cutie!!! So happy for you guys :) Glad she made it safe and sound! awwww… girlfriend she's a cutie!! Glad she's here and everyone is healthy!! Congratulations!!!! Love love love! Such a beautiful story!! She is just adorable. I'm so happy for you, you deserve every happiness in this life! Thanks for sharing the story and her pictures! What a beautiful little girl and a beautiful family. I always love the pics of mom holding baby. You are simply stunning and should be damn proud of yourself! She is so beautiful, Ashley! I am so happy for you guys!!! I know that theoretical framework means a lot these days. You can practice writing and achieve success in your college for sure.